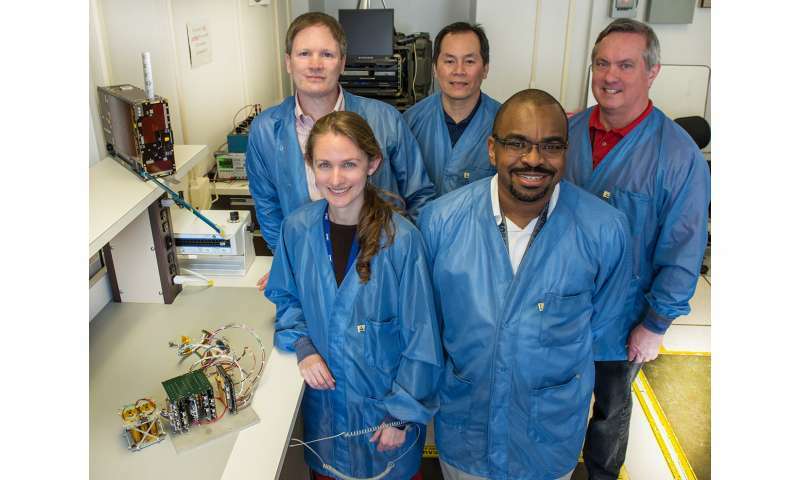 GTOSat—will not only provide key observations of the environmentally forbidding radiation belts that encircle Earth, it will provide initial steps of a new technological vision. This mission of firsts will serve as a pathfinder for new radiation-tolerant technologies that could help scientists realize a long-sought dream: deploying a constellation of small satellites beyond low-Earth orbit to gather simultaneous, multi-point measurements of Earth's ever-changing magnetosphere, which protects the planet from the constant assault of charged particles streaming off the Sun. Furthermore, it will be the first CubeSat to operate in geostationary transfer orbit, or GTO—from which it derives its name—and the first to use the latest, more robust version of the NASA-developed Dellingr spacecraft bus—the Dellingr-X. "Third time's a charm," said Larry Kepko, a scientist at NASA's Goddard Space Flight Center in Greenbelt, Maryland. He had tried before to secure funding under the agency's Heliophysics Technology and Instrument Development for Science, or HTIDeS, program to build and launch the mission. In addition to GTOSat, the HTIDeS program awarded funding to four other CubeSat missions, 13 sounding-rocket and balloon investigations, and 12 instrument-development efforts. These particles gyrate, bounce, and drift through two concentric, donut-shaped rings called the Van Allen belts, sometimes shooting down to Earth's atmosphere or escaping into space. Named for James Van Allen, their discoverer, these radiation belts are located in the inner region of Earth's magnetic environment, the magnetosphere. There they swell and shrink over time as part of a much larger space-weather system that can disrupt satellites and GPS communications, threaten the health and safety of astronauts working in low-Earth orbit, or even—when extreme—interfere with the power grid. "These energetic particles can damage spacecraft and pose significant risks to astronaut health," said GTOSat Principal Investigator Lauren Blum, a Goddard scientist who submitted the winning proposal. "This region of space isn't just scientifically interesting. It directly affects us here on Earth." 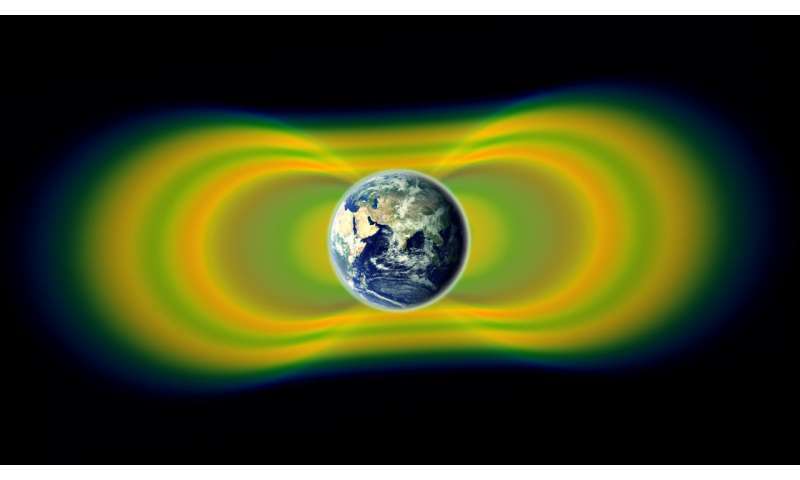 Currently, NASA's Van Allen Probes, the second mission of NASA's Living With a Star program, are providing unprecedented insight into the physical dynamics of the radiation belts. However, the two probes, which launched in 2012, are running out of fuel and are expected to retire in a couple years. GTOSat will provide new data after the Van Allen Probes mission is over, Blum said. To continue gathering measurements of the Van Allen belts, however, the GTOSat team needed to assure that the spacecraft bus and its instruments could withstand the hostile environment that larger, more traditional spacecraft—like the Van Allen probes—are built to tolerate. A successful CubeSat mission demanded that its hardware and software were prepared to tolerate the onslaught of charged particles, which can destroy electronics and ultimately end missions, Blum said, adding that to date most CubeSat missions operate far below the altitude of the Van Allen belts. Dellingr-X's all-important command and data handling and electrical power systems will be radiation tolerant; in other words, they will be able to withstand high-energy particle hits that sometimes cause electronic systems to latch-up and draw too much current. Enabling GTOSat isn't the only benefit of these new GMSA technologies, Kepko said. NASA is studying a couple constellation-type missions that might employ as many as 36 SmallSats—spacecraft larger than CubeSats but smaller and less expensive than more traditional satellites—in multiple locations within the magnetosphere that encompasses the Van Allen belts. Dellingr spacecraft wouldn't be appropriate for these types of missions due to their small size, but a GMSA-based SmallSat weighing between 110-220 pounds would be, he said. As a pathfinding mission, the relatively inexpensive GTOSat will demonstrate these new technologies and give them flight heritage, he added. "This paves the way and opens the door to eventually flying multiple satellites in a SmallSat constellation beyond low-Earth orbit—something I've waited my entire career to happen but hasn't because it's prohibitively expensive to build and fly multiple, more traditional spacecraft."